Many people are confused between two distinct gastrointestinal disorders: inflammatory bowel disease (IBD), and irritable bowel syndrome (IBS). 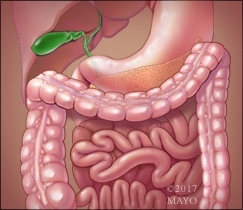 Dr. Jean Fox, M.D., gives us a primer on the key differences, and similarities, between IBD and IBS. For more information about IBD and, visit mayoclinic.org/IBD. Dr. Fox is a gastroenterologist at Mayo Clinic.